Have you noticed that your small business is lacking when it comes to maximizing its online presence? Research suggests this is true for small businesses. 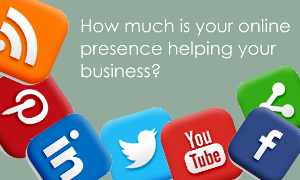 Don’t let your business miss out on all the opportunities a strong online presence can bring. At BizDiversity, we want your business to succeed! By utilizing some simple online tools that integrate with our Bilingual One Page Website you can establish a strong online presence increasing visibility and driving customers to your business! As a business owner you know that sales will only increase if you drive business and keep things fresh 24/7. Wow, that’s a lot of work for a single person or small team! Why not use the tools, resources and connections already at you fingertips to better position your business within the marketplace? BizDiversity offers Bilingual One Page Websites as a standalone web page designed with a clear focused objective, you can showcase your business products or services in English and Spanish. Your one page website can also host and integrate with all the well known social media sites like Twitter, Facebook, Pinterest giving your business the exposure and edge it needs to create brand recognition. How are Bilingual One Page Websites used? Find ways to set your business apart from competitors by the support your business offers to your customers- this can be customer service, return policy, satisfaction guarantee. Explain your products and expertise while including your availability, shipping options, and channels of communication. Make sure your online business presence is all that you want it to be. Take advantage of the resources, tools, and connections available, and even more important, use every marketing tool with a specific purpose in mind. Take your online presence seriously because there is no better way to compete with the larger competitors and you will be surprised with the bigger bite you get out of your industry. Please contact us at marketing@bizdiversity.net and we’ll make sure to get back to you as soon as we can. I want my page too. Visit our clients bilingual pages and let us know how we are doing. We really appreciate your feedback.